In the early 1900s, hundreds of eastern Europeans moved to a near westside neighborhood known as Haughville. The Zeunik family, with Slovenian roots, immigrated in the 1880s or 1890s and settled in Indianapolis by the early 1900s. Parents Joseph and Ursula (Radez) Zeunik appear in the 1910 census as natives of Austria-Slovenia and lived with their seven children in a house at 753 Haugh Street. The 40-year-old Joseph worked as a molder in a foundry (probably the nearby Haugh Foundry) and his wife managed their boarding house. 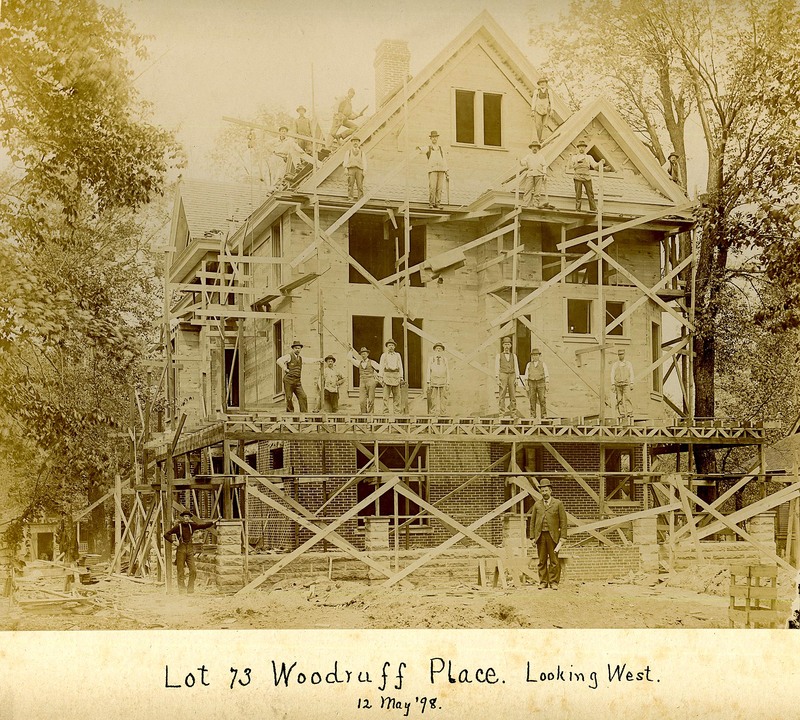 Although the Sanborn Fire Insurance Company map shows the one-story house as barely large enough to fit a family of nine, the boarding house was also occupied by ten male boarders, mostly single men from Slovenia who also worked as molders in the foundry. Helping fellow immigrants was common for this era and cramped quarters was just part of the sacrifice made to get ahead in their new country. The family eventually added three more children. 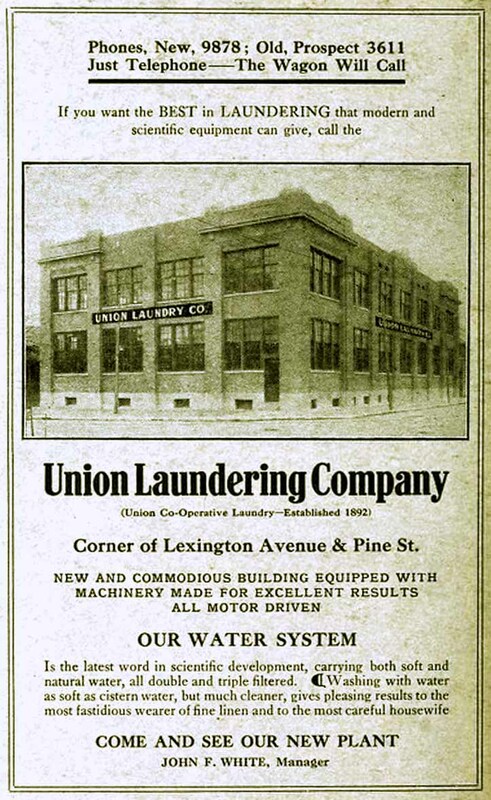 During the 1920s, the Zeunik family operated a grocery known as Joe Zeunik Groceries and Meats at 777 Haugh Street, on the southeast corner of Haugh and W. St. Clair Streets. The one-story frame structure, located six houses north of their home, also housed the branch office of undertaker A. J. Voight Company (see sign at the door on the left). 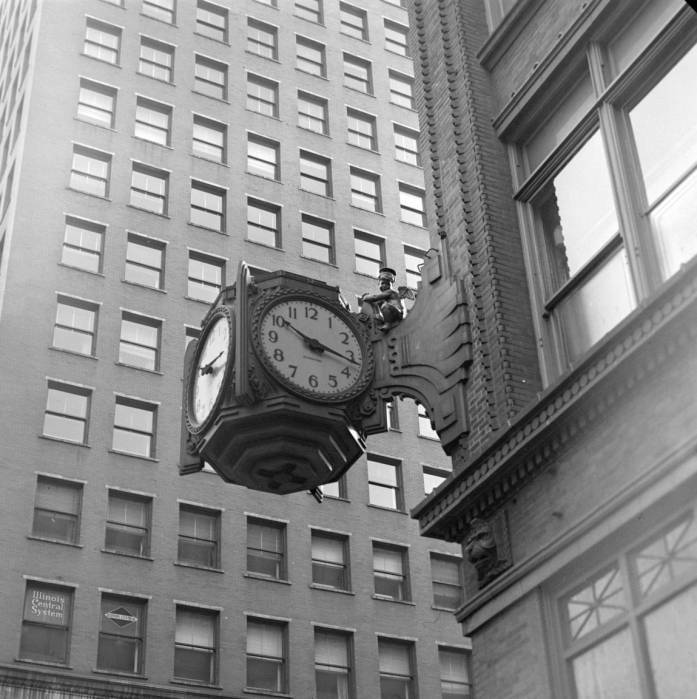 Although the store was likely a family-operated business, son Joseph August Zeunik (1902-1977) is listed as the owner in Indianapolis city directories dating as early as 1921. 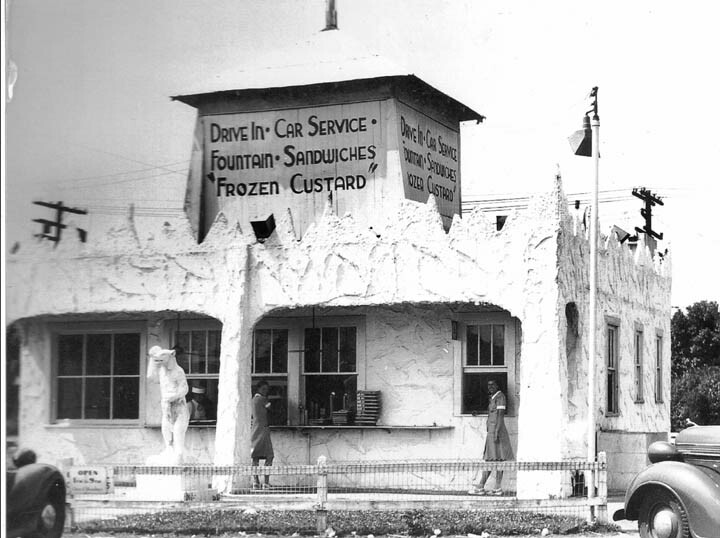 By the early 1930s the family moved a few blocks northeast to adjacent houses at 1025 and 1029 N. Holmes Street and Joseph A. continued as a grocery store manager. 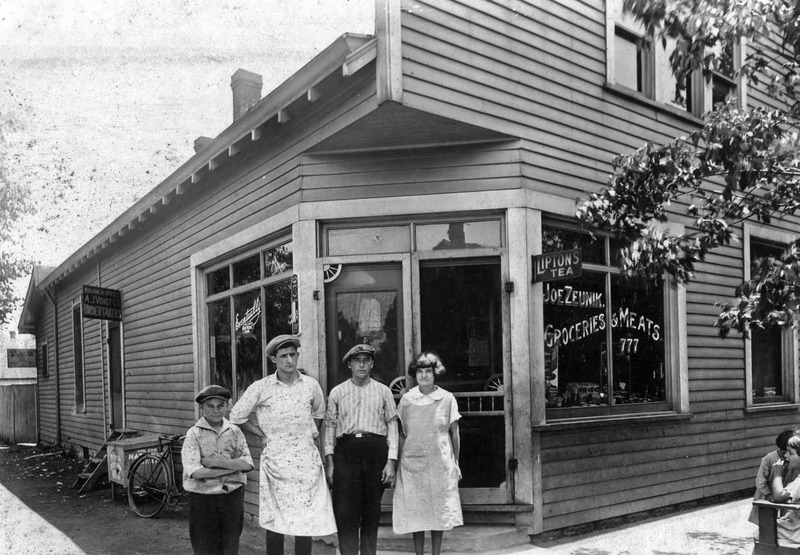 Family members on ancestry.com have identified the people posing in front of the store as William “Bill” Zeunik (1910-1979), Joseph August Zeunik (1902-1977), an unidentified brother–possibly Alvin Albert Zeunik (1904-1972), and Mathilde “Tillie” Zeunik (1906-1994). Tillie was deaf and attended the Indiana School for the Deaf where she met her husband Edward A. Anderson. By guessing the age of son Bill as about age 12, the photograph dates to circa 1922. Sanborn maps show that the corner store was later modified, removing the angled corner doors and adding a front porch. 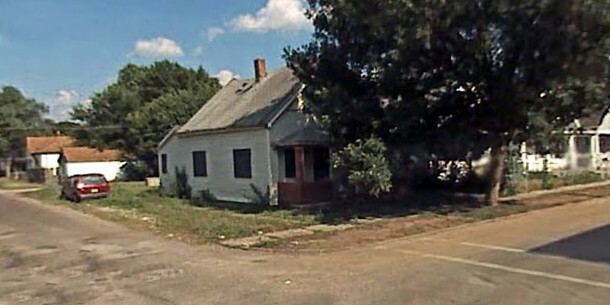 This Google Street View image shows the house in July 2007. Between 2007 and 2009 the house was razed. By the time the Google vehicle traveled through again in July 2011, the neighborhood had received new sidewalks and the empty lot was being used for construction equipment. NextAt Your Leisure: Why is that a Parking Lot? The Indiana Historical Society has much information on file about the Haugh Iron Works and the community of Haughville that was established by the company for its employees. They were responsible for the round jails being built in the 1880’s. You can still visit one of the jails in Crawfordsville, Montgomery Co., IN. Thanks Joan for publishing this article about my grandparents, Joseph and Ursula Radez Zeunik , store. You have correctly identified my Uncles and Aunt. My mother, Mary Ursula Zeunik Lambert Linder, was their first child. I was researching info for my family tree and this article popped up. Hi Julie. Nice to meet you. I grew up on Holmes Ave a block from your Grandfather Ted and remember him and his brother Walter. Joseph and Mary were there parents and your great-grandparents. Joseph was the eldest son of my grandparents Joseph and Ursula Zeunik and the brother of my mother Mary Ursula. So Joseph and Ursula were your great, great-grandparents. Your great grand-father had a large grocery store on the corner of 10th St and Holmes Ave for many years. Your grandfather Ted Zeunik opened his own meat market on 10th and Tibbs Ave. Came upon this article by accident on Veterans Day, trying to see if my grandfather Alvin Albert Zeunik Sr. had been in the military. I lived with my grandparents until about the age of 15. Hi Deborah – my uncle John Zeunik was the only one I recall being in the military during WWII. Never heard of one being in WWI. Does your uncle Jim know. Do either of you know where specifically they immigrated from? My great aunt, Ursula Radez who I never knew, emigrated from the Austria-Hungarian Empire in the late 1890s or maybe the early 1900s. She was my grandfather’s older sister. His name was John Radez. The family grew up near the Slovenian town of Novo Mesto, which is S of Slovenia’s capital, Ljubljana. Thanks, Joan. Nice article. My Grandmother, father and uncles (Glogoza) lived on Haugh Street just north of the Zuinik’s. In the late 50’s – early 60’s, we would buy snacks (candy) at the store. There were several other, small family owned corner stores throughout the neighborhood. Shopped with my grandmother for various meats at all the in-house butcher counters that they all seemed to have. Thank you for the memory. The address of the house I grew up in and lived in until 1964 was 777 N, Haugh St. It was on the corner of Haugh and St. Clair. Apparently this was after modifications had been made. 🙂 The porch was enclosed. I have a few pictures of the exterior, but none from the front of the house. Sadly it burned down a few years ago and now it’s an empty lot.